Born in Denton, the third of eight children, Catherine’s roots in Newcastle are deep. She grew up in the West End of the city, attending Sacred Heart Comprehensive School in Fenham. Her family also goes back generations in this area, and currently live throughout Newcastle: in Newburn, Denton, Lemington, Gosforth and Woolsington. Whilst studying Politics and History at Edinburgh University, Catherine was active in various student organisations – campaigning on international development, human rights and social justice issues. It was from that platform that she was elected to the Edinburgh University Students Association, and appointed as Finance Officer. 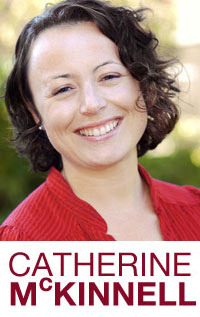 Catherine campaigned for Fairtrade goods to be sold in all University outlets, something which was achieved by the time she graduated in the year 2000. After leaving Edinburgh, Catherine went on to study Law at Northumbria University, before working as an employment solicitor with a large Newcastle law firm. Catherine was first elected as the Labour MP for Newcastle upon Tyne North in May 2010, and was briefly a member of the House of Commons Political and Constitutional Reform Committee before being appointed Shadow Solicitor General in October 2010. She subsequently held a number of other shadow Ministerial roles during the 2010-15 Parliament: Shadow Minister for Children & Young Families; Shadow Exchequer Secretary to the Treasury; and Shadow Economic Secretary to the Treasury. Catherine was successfully re-elected as the Labour MP for Newcastle North in May 2015, and was appointed Shadow Attorney General in September 2015 before leaving that role in January 2016. During the 2015-17 Parliament, Catherine subsequently held a number of positions including being a member of the Education Select Committee; a member of the House of Commons Petitions Committee; and Chair of the Parliamentary Labour Party’s (PLP) backbench group on International Trade. Catherine was again re-elected as the Labour MP for Newcastle North, at the snap General Election held in June 2017, with an increased majority of 10,349. She currently holds a number of roles in Parliament, including being a member of the Treasury Select Committee; a member of the Petitions Committee; a member of the PLP’s Parliamentary Committee; and Chair of the PLP backbench group on International Trade. Catherine is also an active member of several All-Party Parliamentary Groups (APPGs). She is Chair of both the APPG on the East Coast Main Line and the Parliamentary Friends of CAFOD; Co-Chair of the APPGs on Regional Airports, on Apprenticeships and on Children Who Need Palliative Care; a Vice-Chair of the APPGs on Hadrian’s Wall, on Fairtrade, on Responsible Tax, and on State Pension Inequality for Women; an officer of the APPG on Multiple Sclerosis; as well as being a member of the APPGs on Anti-Corruption, Diabetes and HIV/AIDS. Catherine lives in the constituency with her husband, Rhys, and their three children.